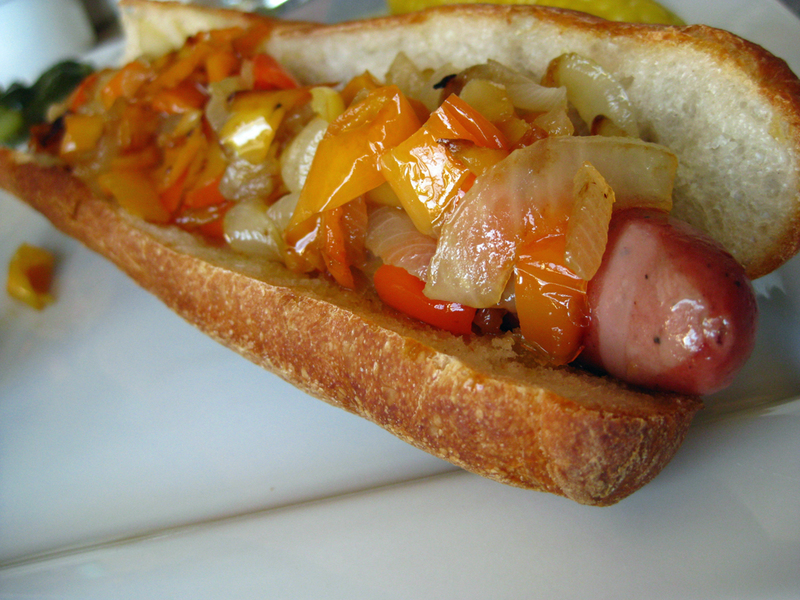 Sauteed onions and peppers on a Let's Be Frank dog. Hot dogs! Love ‘em or hate ‘em, everyone has an experience with this ubiquitous and oh, so traditional American food. Whether you call them red hots or white hots, franks, wieners or dogs, your favorite bun filler is a smooth, savory and sometimes snappy sausage with a long and storied history. How do you prepare your hot dogs? Do you grill them, pan fry them or boil them? What’s your favorite brand? Sabrett, Vienne Beef, Hebrew National or the classic Oscar Mayer? And what to put on them? Is ketchup OK or a big no-no? How about sauerkraut and onions … or pickles? Whatever your brand, however you cook them and whatever tops them, with the 4th of July holiday behind us, the hot dog days of summer are in full swing. 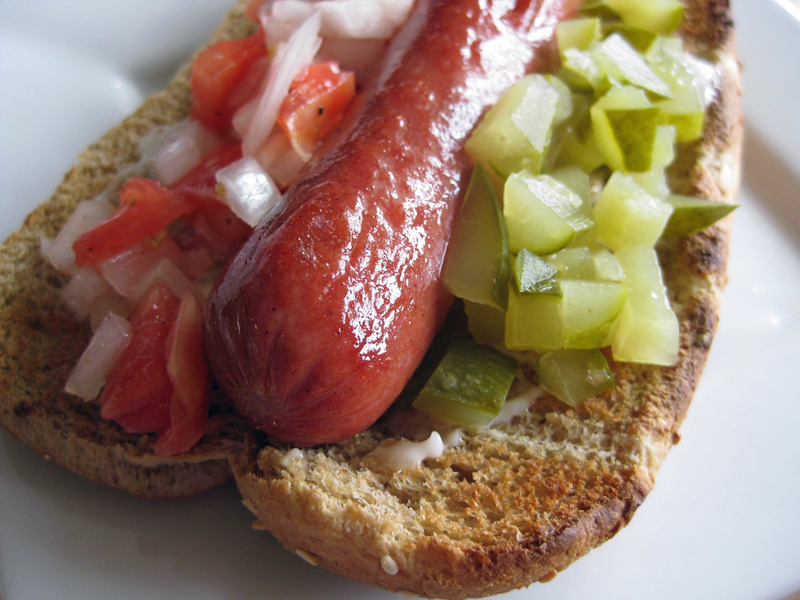 Now, this blog is about our food choices and when it comes to hot dogs, we’ve changed things up a bit in recent years. While most major national brand hot dogs are made from real, recognizable cuts of meat (the horror stories of pieces parts in hot dogs are mostly fiction), they do contain preservatives and curing agents that aren’t all that good for us in large quantities. We’ve stopped buying wieners that contain nitrates and nitrites. It’s a personal choice and we’ve made it knowing that the jury is still out on the safety of these additives. Just as important, we’ve come to a point in our meat consumption where we are not only concerned about our health but that of the animals that become our food. 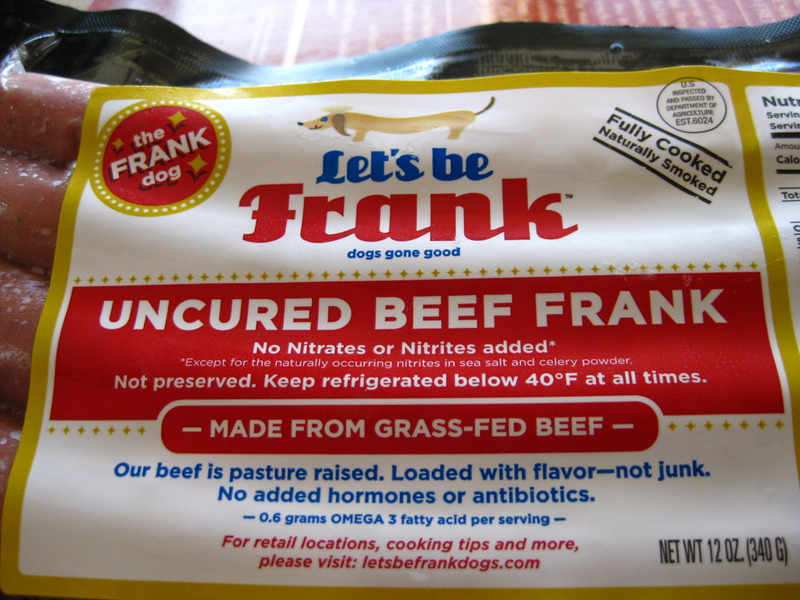 So, we tend to buy grass fed beef dogs that contain no preservatives. It leaves us with fewer, but arguably better, choices. The beef dogs we recently purchased from Let’s Be Frank are monstrously long and perfectly delicious! The fat beef franks sold by Prather Ranch are amazing and Steve has to practically chain himself to his desk to keep him from wandering over to the Ferry Building for a regular hot dog “snack” break. Of course, when visiting Chicago, we’re likely to fudge a little on the additives issue because those Vienna Beef dogs are just too hard to resist. At home, however, we’re committed to buying and consuming the healthiest dogs we can find. If you like your hotdogs big, Let's be Frank is sure to please! Look, everyone has some sense of hot dog culture, but if you’d like to know more about the history of the hot dog and the regional differences that make each of our experiences unique, check out Bruce Kraig’s book Hot Dog: A Global History. It’s a little academic, but it covers all the bases and hell, who wouldn’t like to have a little hot dog trivia in their back pocket for the next neighborhood cookout? You guys are so brilliant it’s not even funny. Thank you Kathy! You make us blush!